Infinity scarf became an extremely popular fashion accessory lately. Sometimes it is also called a loop scarf, eternity scarf, tubular scarf, circle scarf or snood. 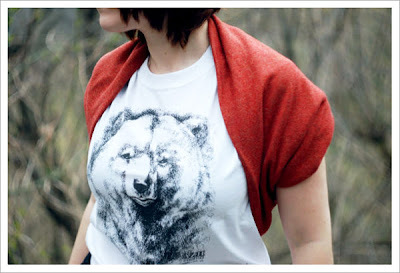 It is very easy to make and can be worn in many different ways. Simply place the infinity scarf around your neck. You only need to make sure the seems are hidden inside the scarf. In this way you can drape your low neckline and keep the air of mystery until the right moment. Place the infinity scarf over your shoulders making sure that the part of the scarf, that lays on your backside fits tightly, while the longer part on the front drapes down beautifully. 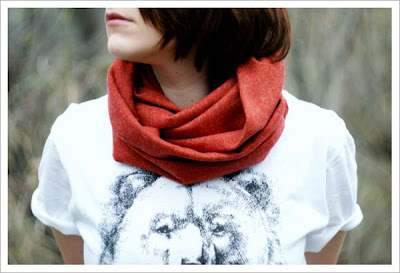 Place the infinity scarf over your head and around your neck with the seam in the back. Make a figure 8 in the front and put the bottom loop over your head. Now you have two circles in the front. 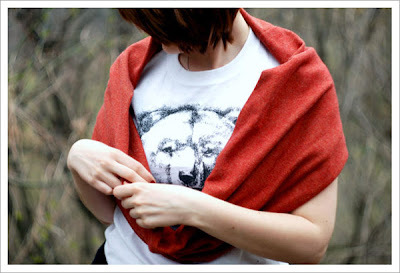 Adjust the circles so that they were of similar size and draped nicely around the neck. 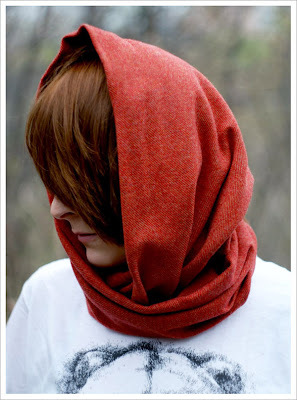 Place the infinity scarf over your head and around your neck with the seam in the back. Make a figure 8 in the front and put the bottom loop on your head. Now you have the second circle laying as a hood. Put one arm through the infinity scarf, then pull the other end of the scarf behind your back so that you can put the other arm through, just as if you are putting on a coat. Make sure it lies flat on your back, then pull the top end over your shoulders. Infinity scarves are comfortable, stylish and they can keep you warm throughout the year! 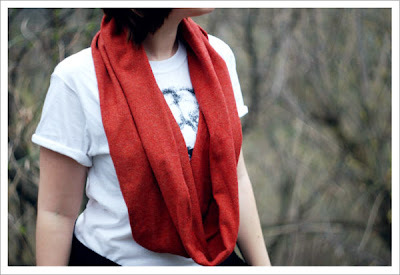 There are lots of ways of wearing an infinity scarf, and you shared it into your blog. These are the basics yet they are the best ways. Knowing the different ways of wearing an infinity scarf is perfect for different occasions and situations, like the tutorial I found in YouTube. Thanks for sharing!